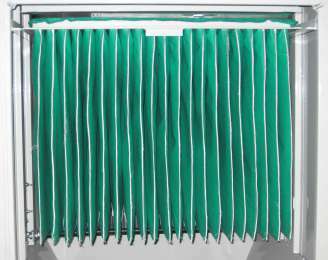 We manufacture multi-filter pockets from selected technological fabric and needle felt with various surface finishes and special treatments suitable for the different models of system on the market. Some multi-filter pocket models are available from stock in standard qualities. Special sizes or qualities can be supplied within a few days. You don’t know the manufacturer of your filtration system? No problem! We also manufacture to drawing or sample! Simply ask us about this, we will be pleased to assist you. We also have appropriate multi pocket inserts with edge protection in our product range.